What's Jurgen Klopp got to say about Naby Keita’s debut? Home / Sports / Liverpool news: What’s Jurgen Klopp got to say about Naby Keita’s Premier League debut? Liverpool news: What’s Jurgen Klopp got to say about Naby Keita’s Premier League debut? The Guinean midfielder bossed the engine room for the hosts with an imperious display. Mohamed Salah and Sadio Mane have been among the goals as Liverpool thrashed West Ham United 4-0 in their Premier League opener on Sunday, but Reds fans couldn’t stop raving about Naby Keita’s debut and even Jurgen Klopp admitted the midfielder made a solid start to life in England. “Yes, nice. Absolutely a good performance, of course,” Klopp gushed during his post-match presser at Anfield. Salah opened the scoring before Mane helped himself to a brace against a hapless Hammers side and substitute Daniel Sturridge would provide the icing on the cake with a late strike to complete the scoreline. However, Keita was the star in midfield and his displays brought back memories of club legend Steven Gerrard, the man who’s jersey number (8) he wears, for many Liverpool fans. 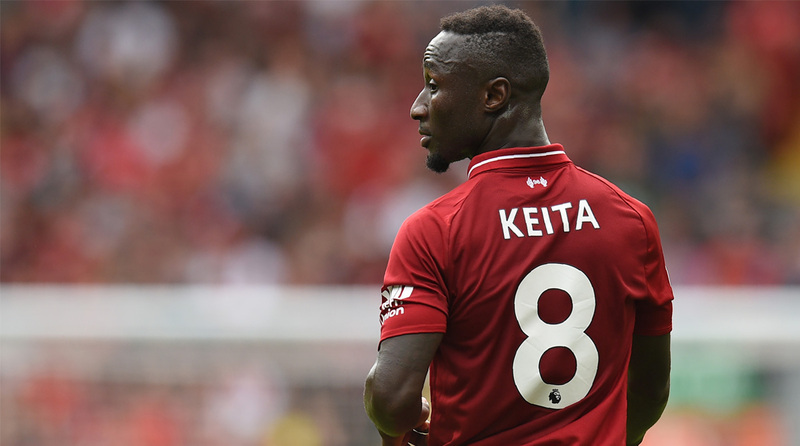 Keita was influential in most of Liverpool’s attack and played a key role in the opener. Driving forward from the halfway line, he released Andy Robertson on the wing and the Scottish fullback’s low cross was tapped into the net by a grateful Salah. It wasn’t just the goals, however, as the Guinean midfielder was in sync with his teammates and hardly put a foot wrong against a side many experts had touted as giant-killers prior to the start of the season. Liverpool, topping the Premier League after Matchday 1, next face Crystal Palace on August 20.